This is the Council Chamber ( Raja Sabahawa) of king Parakaramabahu the Great( 1153 -1186 AD). This also known as Raja Vaishyabhujanga Mandapaya. The Council chamber is 75 feet in length and 33 feet width. The design was done in three tires. The first, lowest level was decorated with row of elephants and the second level with lions. Third an the upper most wall is decorated with Vamana rupa. There are 4 rows with 12 stone pillars in each raw. Each pillar is decorated with carvings. It is believed that the roof supported on the stone pillars probably done with wood and clay tiles. 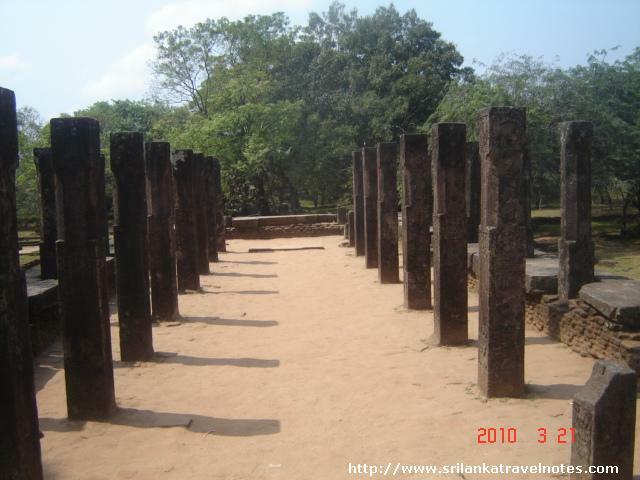 You can see a Sadakada pahana belonging to the Polonnaruwa time at the entrance. 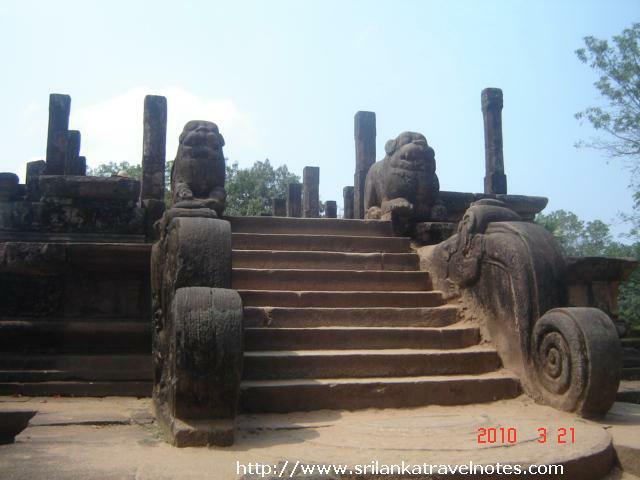 This structure was undergone some renovation during the Dabadeniya period( 13th century AD). Nisshanka Latha Mandapaya is located in the Polonnaruwa Dalada Maluwa, where the Tooth Relic of Load Buddha was located in Polonnaruwa period.